All hell breaks loose. Shadowman and the monstrous Mr. Twist battle to the death! Everything is at stake for Jack, Dox, and Alyssa – and for the world as they know it – because if Twist succeeds, then Master Darque will walk the earth once more. Cover- This month we get the depiction of Shadowman being attacked by denizens of the dead side on an orange, yellow and brown background. Honestly it looks awesome! The alternate cover with an eviscerated Mr. Twist is equally cool! 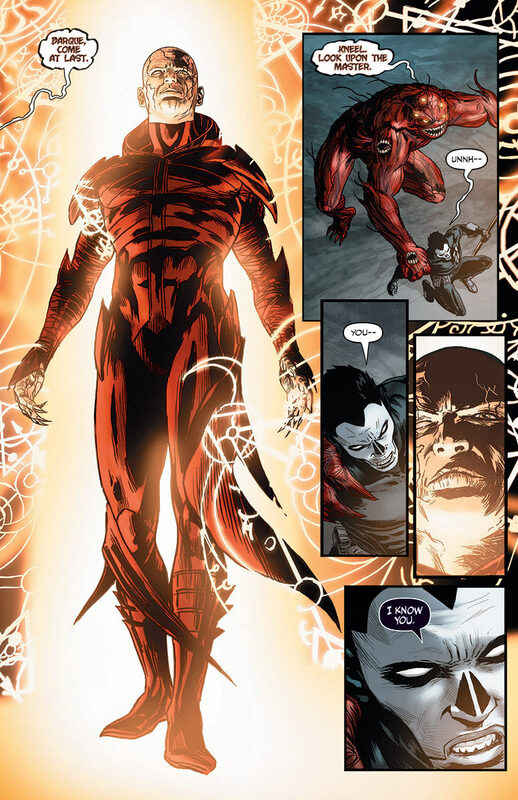 Action– The highpoint of the issue was the battle between Shadowman/Jack Boniface and Mr. Twist; bloody, eviscerating, macabre magical mayhem. This is the stuff memorable comics are made of. Potential- Our two heroes Alyssa and Jack Boniface/Shadowman have what seems to be the hint of a potential relationship with the mutual attraction and saving of lives thing. Villains– Some may not like how a secret cabal is controlling everything from behind the scenes but I loved it! Since the first issue the big bad has been Darque but here we see the other villains and realize while they may not be as powerful as Darque, but they wield tremendous resources in: Politics, Shipbuilding, commercial fishing, Oil Refining and Petrochemicals. I can’t wait to see how they factor into the bigger picture. Art- This is the very best work Zircher has given us on this series so far! The action was fast paced and hectic yet the art kept up and delivered big time! The magic portals shine in their hues of blue and white. The well proportioned features of the human characters while the pulsating meat sack of Mr Twist and the howling hungry spirits trapped in dead side are all simply perfect; the arcane symbols in their tones of yellow and orange are also worthy of mention and note. Black Heroes- We get Shadowman/Jack Boniface and Alyssa mistress of the blue flame. Not the book with the most black superheroes but one of the very best this month. 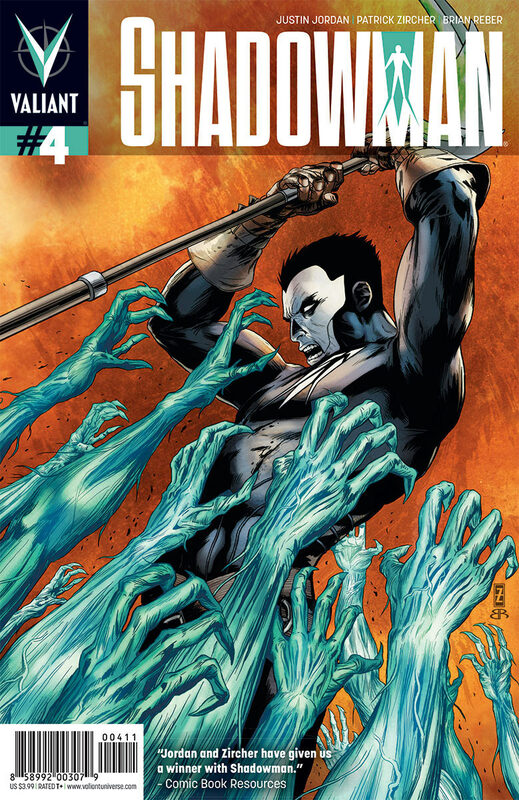 None Issue- Another thing I adore about this series it completely ignores the ethnicity of its hero and makes Jack as a result makes Shadowman (2012) less about being a black superhero book and just a straight up superhero book. I’m starting to see the appeal of writing a black superhero in an ethnicity neutral manner; it certainly broadens the potential appeal of said hero exponentially. Villain- I’m sorry but I’m still waiting for Zircher and Jordan to sell this “big bad” to me. I don’t see him as a palpable enough threat to warrant half the excitement Zircher and Jordan are expecting. They need to work on the threat level and revealing more about Darque and where he has been since his fight with Josiah Boniface before he will ever be taken seriously.